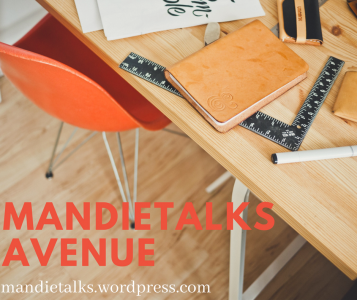 MandieTalks Avenue – My pen is the tongue of my mind! My pen is the tongue of my mind! Wedding Tales: To cut or not to cut! Count the cost it took to be you, instead of giving yourself away for a discount! The monster I’m fighting has many heads! Rere shares her story with us today! Owiredu shares his story with us! Christabell shares her story with us! Stanley shares his story with us. Life after school. How has it been for you? Here’s a little sunshine from this side! 100th Post: 100 Things That Make Me Happy.